Blip.fm is internet radio made social. It's easy to search for, play, and discover free music recommended by real people. 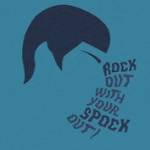 Join today to create your own free station and start listening to @frankenspock. frankenspock they're not even being postmodern. they just like the song. frankenspock they're from portland. they rule. you will obey blitzen trapper.